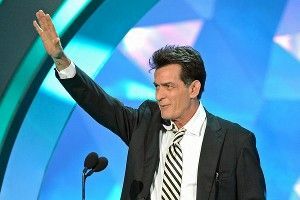 By the time A Glimpse Inside the Mind of Charles Swan III was announced last September, Charlie Sheen’s meltdown had just about completely abated. The timing seemed telling: It was the first movie for Roman Coppola, Sofia’s big brother, since his 2001 debut CQ (he did co-write The Darjeeling Limited and Moonrise Kingdom in that time); it was also Sheen’s first big-screen starring role since before he started his Two and a Half Men run. So, two questions here: First, is it a stretch to assume that Swan III — a loopy, ’70s-set comedy about a ladies’ man who bottoms out in dramatic fashion after a breakup — is partially inspired by Charlie’s once oh-so refreshing downward spiral? Second, could a movie that had its origins in the time Charlie Sheen tried to make “warlock” a thing possibly be any good? Well — maybe? In the newly released trailer, we see Charlie palling around with Bill Murray and Jason Schwartzman, in increasingly more surreal — explosions, puppets, graveyard dance scenes, Charlie winning an Oscar — scenarios. It’s hard to say quite yet what we’re dealing with, but let me just go ahead and make this statement: When all’s said and done, A Glimpse Inside the Mind of Charles Swan III might — might — be as good as Hot Shots! Part Deux.